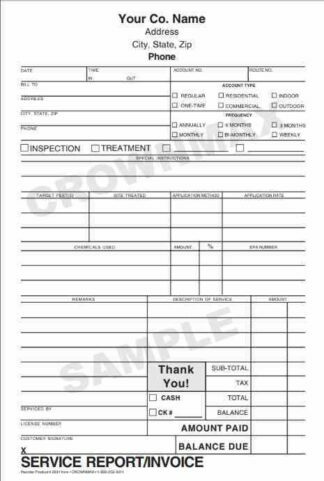 Offers room for account type, frequency, target pests, site treated, application method, chemicals used, amount, percentage, EPA number, along with remarks and description areas to allow for extra writing. Also available in a 2 part form. See product number 2631.